Varying weather forecasts leading up to the weekend put the possibility of snow track-side around 50 percent. Autopolis Circuit is situated on top of a mountain and therefore is subject to some very finicky weather; I had unfortunately drawn the short straw this time around. I wasn’t about to let my time spent in Southern Japan go to waste though, and I promptly got in touch with Shimada and Hannita before they started the drive back to their hometowns. 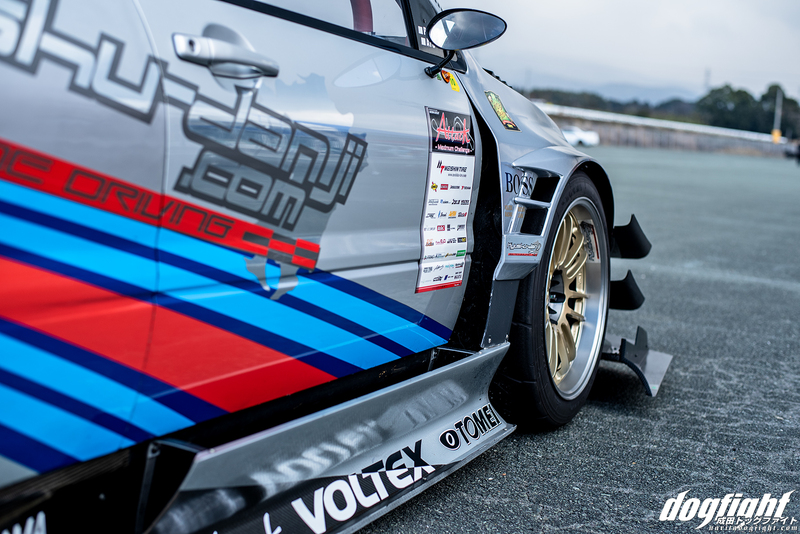 Because the Superlap is organized by members of Kyushu Danji, many of the drivers still felt obligated to take the cars to the base of the mountain on the off-chance the forecast changed. Luckily for me, they were still in the area and agreed to meet up to at least chat for a bit. Understanding of the situation I had got myself into, and sharing of the mindset of salvaging the day with some amount of productivity, the two drivers graciously agreed to head over to the nearby Honda Safety and Riding Plaza (a very local track that focuses on motorcycle racing and practice) to offload the cars for an impromptu photoshoot. Mind you it was freezing cold at the time, somewhere around -4 if I recall correctly. Hannita’s NSX requires a good 45 to 60 minutes of prep before it’s actually ready to be driven on track, and because it was selected as the 80R Volume 2 cover car, neither of us wanted it to be photographed in it’s ‘transport’ form. 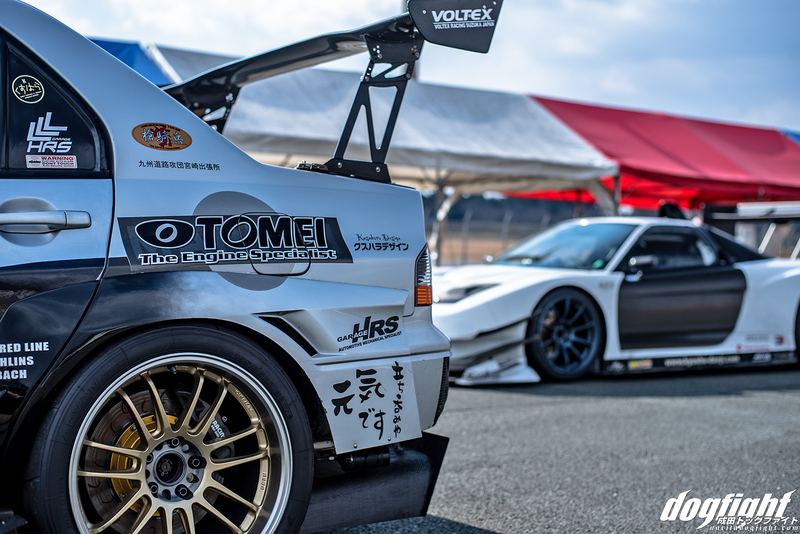 So while the Tomiyoshi brothers, who accompany Hannita to events for support, offloaded the NSX and tended to the ride height and aero install, I asked Shimada if he would be willing to allow me to photograph the car for the website. Having been featured in Volume 1 of 80R, as well as a long time friend of the site, he was welcoming of the offer. At the time, the idea I had was to share some of the first book on site, with a set of updated photos that encompassed more of what Volume 2 would be about. Not necessarily a collection of photos of the featured cars from throughout the year, but (to the best of my ability) a dedicated photoshoot for each one. This lends even further exclusivity to the book, as the photos won’t be published on site until the book is no longer for sale. Even then I probably won’t post most of the photos online, for personal reasons. The text following this paragraph is an excerpt taken from Hiroshi Shimada’s article from Volume 1 of 80R. If you’re interested, limited copies of the first book will be on sale alongside Volume 2 when it is finished. For now, please enjoy a look into Shimada’s life. For most of us, it’s only inevitable that we reach the point in life where we must, in the least, put our pursuits on hold. For many of us, it’s when we settle down to start a family; which for all intents and purposes is a very reasonable and responsible thing to do. In the case of Miyazaki resident Hiroyoshi Shimada, this very situation happened upon him in his younger years. 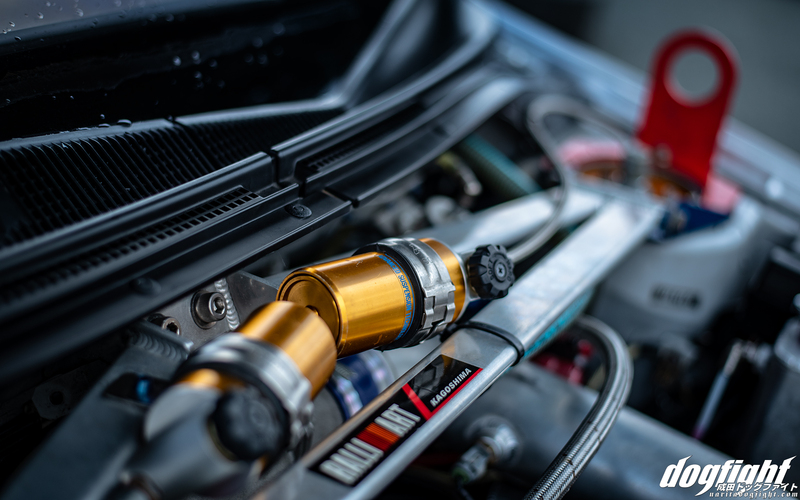 Like most, he began his initial love for cars while in high school and eventually found himself participating in track events throughout his 20’s. A hobby that he pursued even in the early years of parenthood. Eventually, to his disappointment, he had to put that all aside and shift his focus over to his family and career; working day in and day out without the thrill of the circuit. Years later, children all grown up and moved, and having achieved a financial security to do so, Hiroyoshi had found the resolve within himself to fulfill the void he put aside years ago – and it’s paying off in spades. From an outside perspective, this may seem like your typical case of a ‘midlife crisis’; achieving things one couldn’t do before due to life’s circumstances. But in this case, it is not just a father who purchased a sports car to dilly-dally around in on the weekends (although he did also own a C4 Corvette at one point). 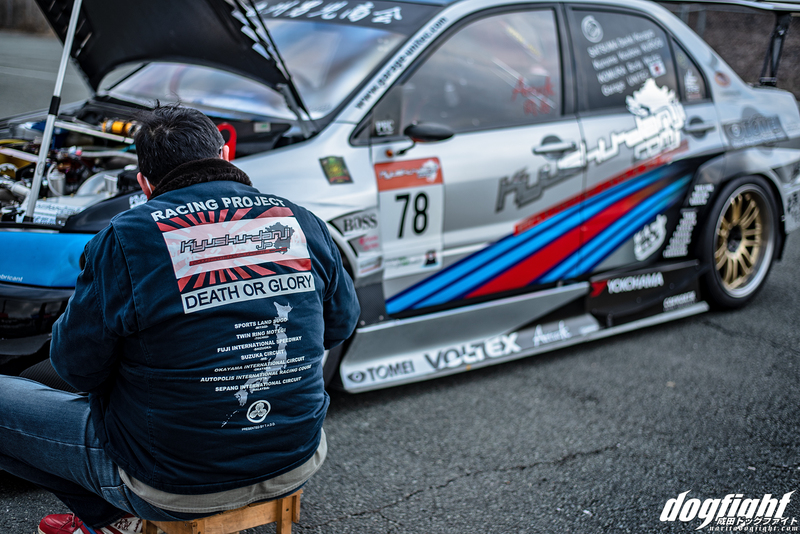 This man, from where most people would think of as a humdrum town, along with his friends rekindled their passion for motor sports and put their town, and the prefecture of Kyushu for that matter, on the map in the world of time attack. 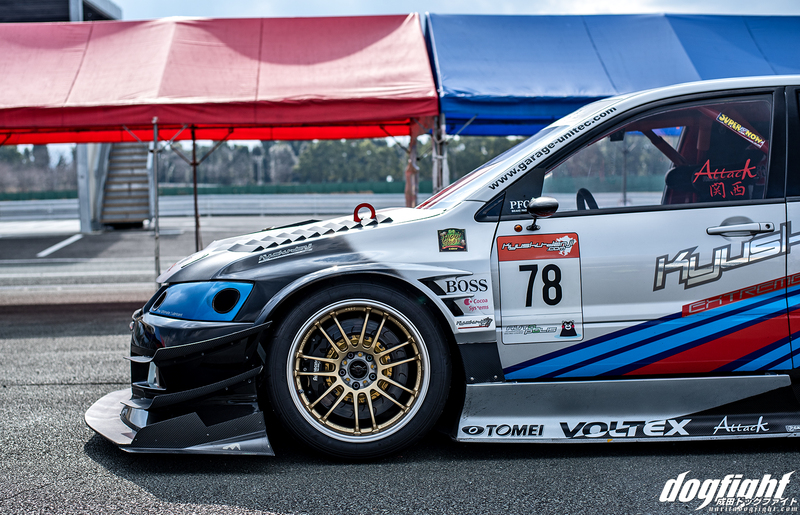 By gathering together acquaintances made at the circuit back in 1998, Hiroyoshi had built unwavering friendships over the years which eventually gave birth to what we know now as Kyushu Danji; a group of people that have collectively built a few of the most heavy hitting, notable time attack cars in all of Japan. 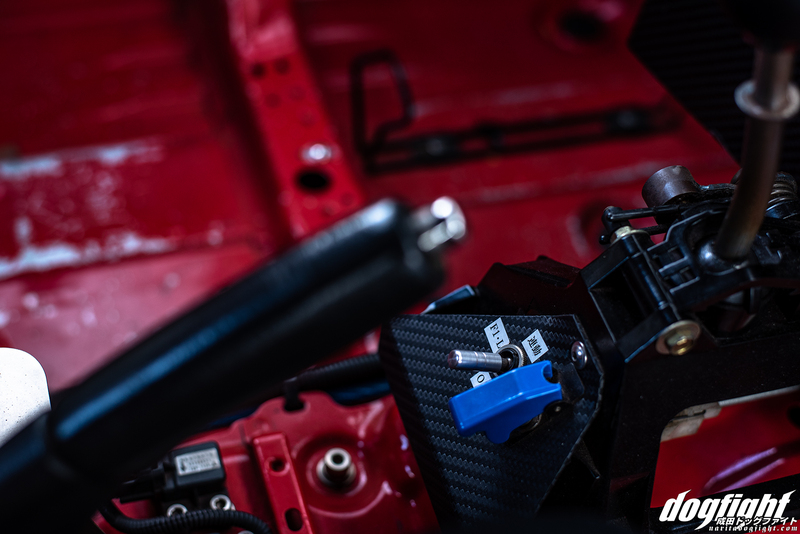 With Autopolis International Racing Course as their local stomping grounds, the circuit has conditioned them to be able to run in a variety of settings. 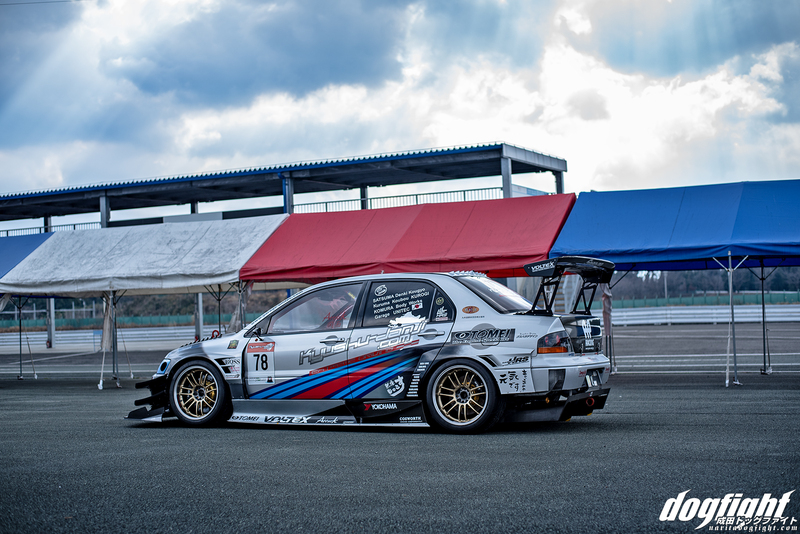 Being that Autopolis is built on the side of a mountain, it offers intense elevation changes, high speed sweeping turns and straights, and many narrow sections consisting of multiple technical sections (turns 5-7). 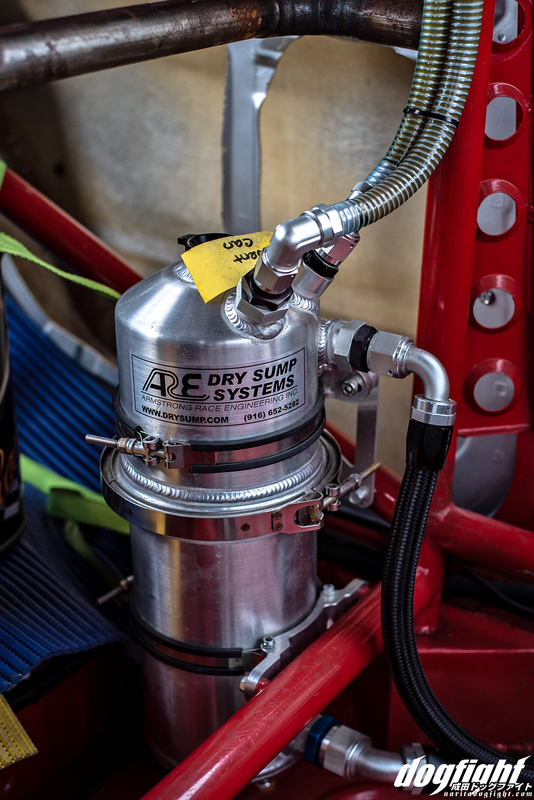 On top of this, tuning at such low atmospheric pressures becomes crucial to the dependability of engines; especially when you’re fighting tooth and nail for hundredths of a second. It all creates a package that does well to develop their skillset; preparing them for any circuit across Japan. 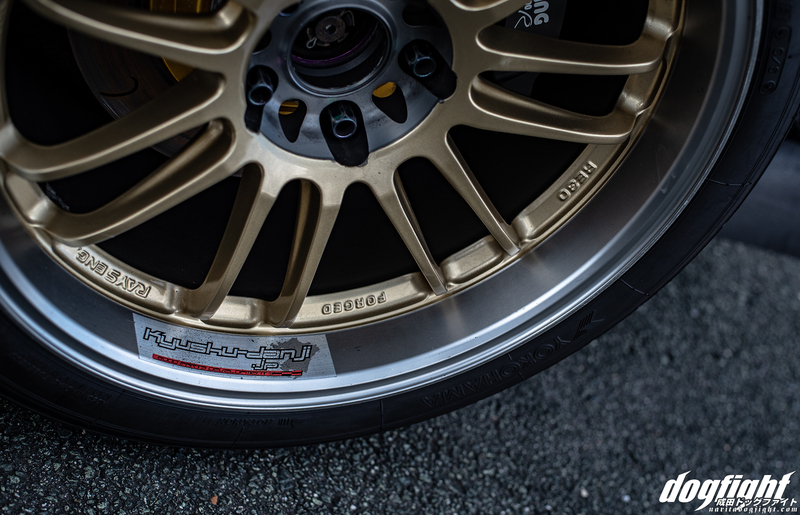 Choosing a CT9A Evo VII as his return platform provided Hiroyoshi with a well-rounded chassis that would be tailored for a variety of track conditions. 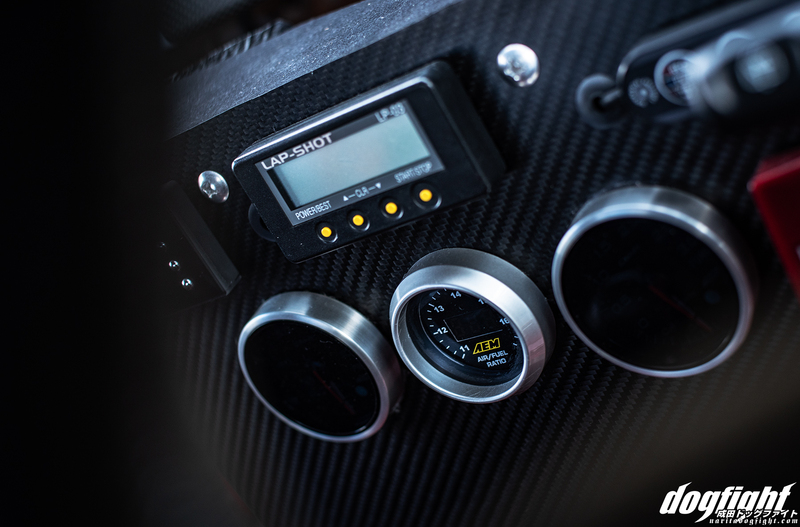 His ethos behind the build is to run, keep running, and look good doing it; in his own words; “Looks are important, and fast cars are cool”. 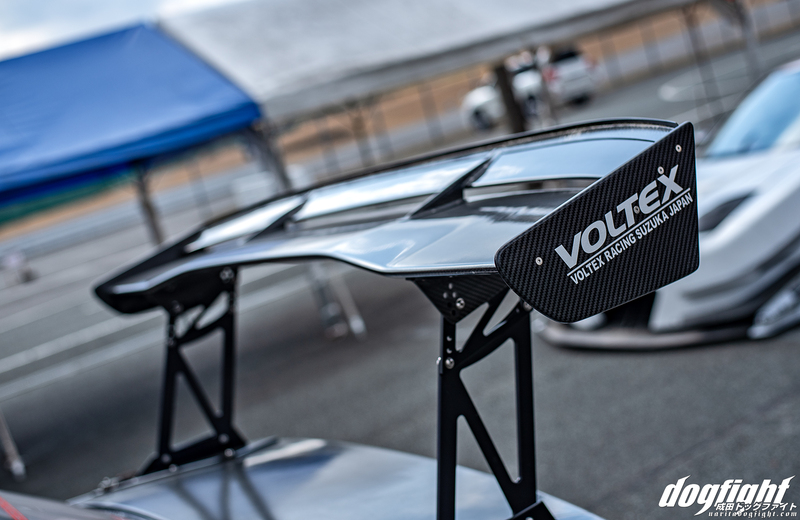 Inspirational words to live by, and quite easily achieved being backed by Voltex. 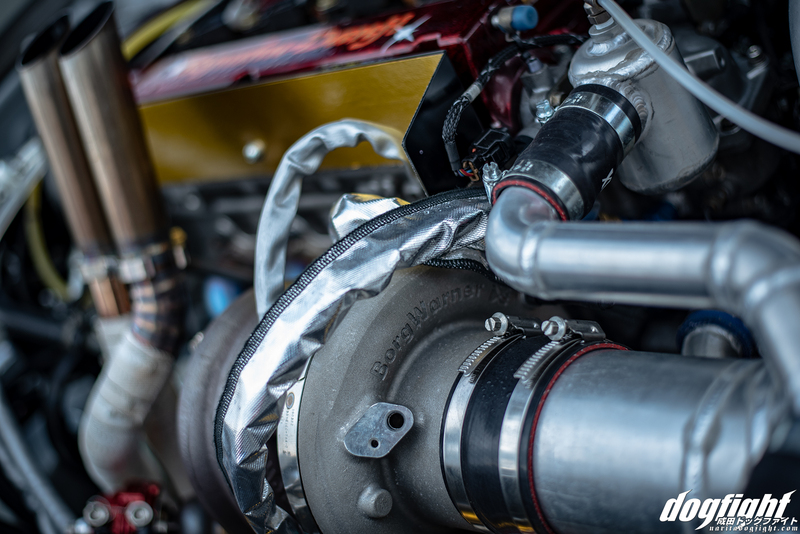 Essentially equipping high tier parts from their catalog to his Evolution; a timeless choice of aero. 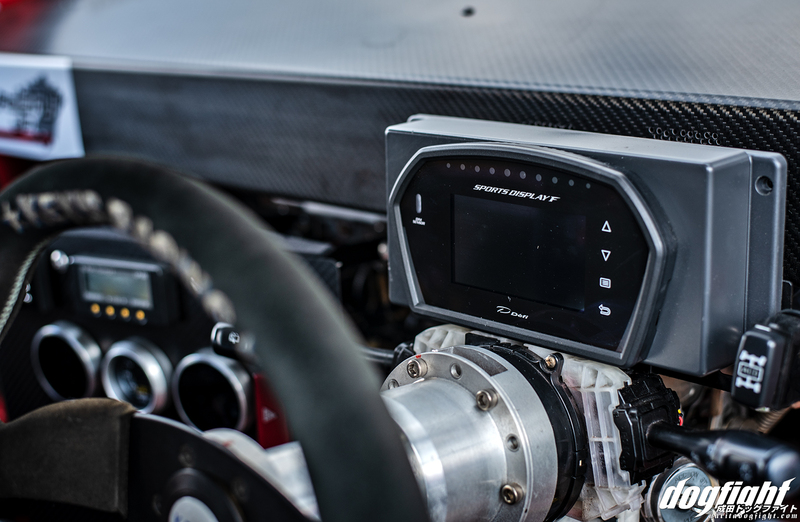 Though by current international time attack standards, Shimada’s Evolution would be on the humble end of the engine power spectrum. With the initial building of the 4G63, Shimada had experimented with different internals from a variety of companies; leaving no stone unturned. A mix of Tomei and Cosworth parts encompass the head build, while the block was reworked by JUN Auto with Tomei parts as well. To top it all off the previous EFR 8374 turbine was swapped out to an EFR 9180. 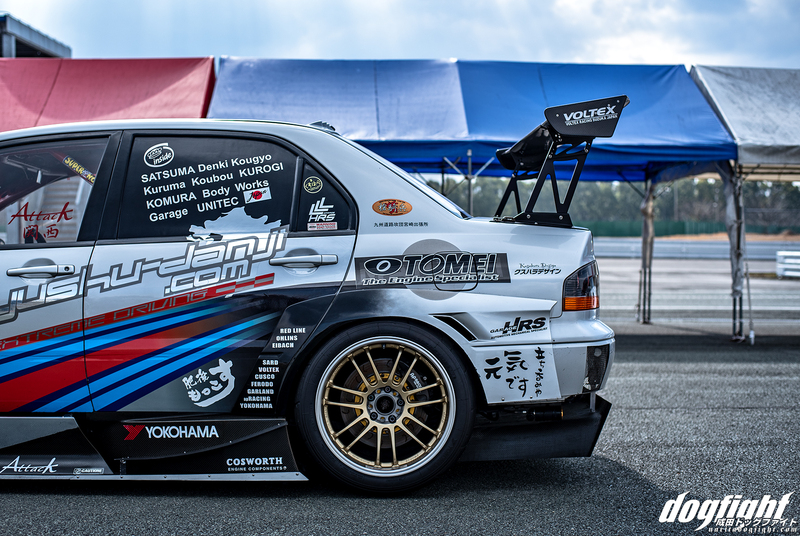 Tomiyoshi Racing, acting as a support shop to many Kyushu Danji members, handled the assembly, fabrication and tuning. 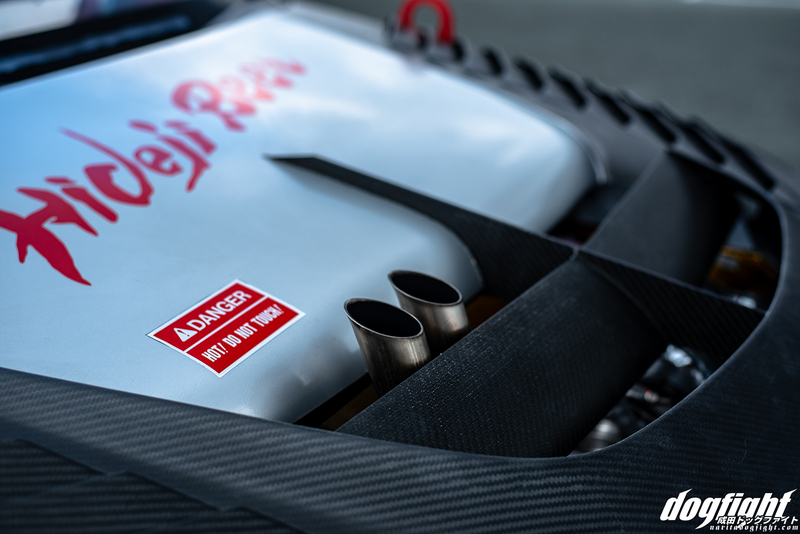 The result is an engine that puts out roughly 600PS. 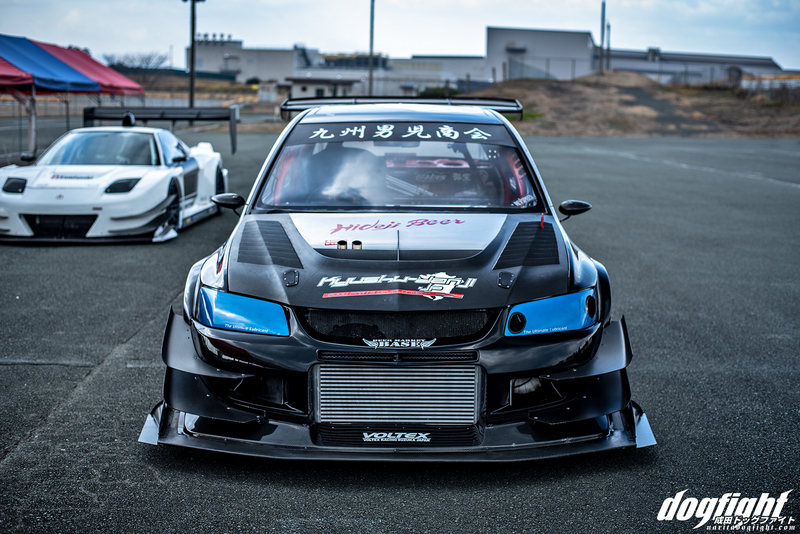 A conservative number when you consider that many time attack builds overseas are easily in the 4-digit power range. Understanding why some Japanese drivers choose to limit themselves on power would require a deeper look at the culture of Japan in itself. Many work to be masters of their craft and simply adding more power could be considered ‘taking the easy way out’. 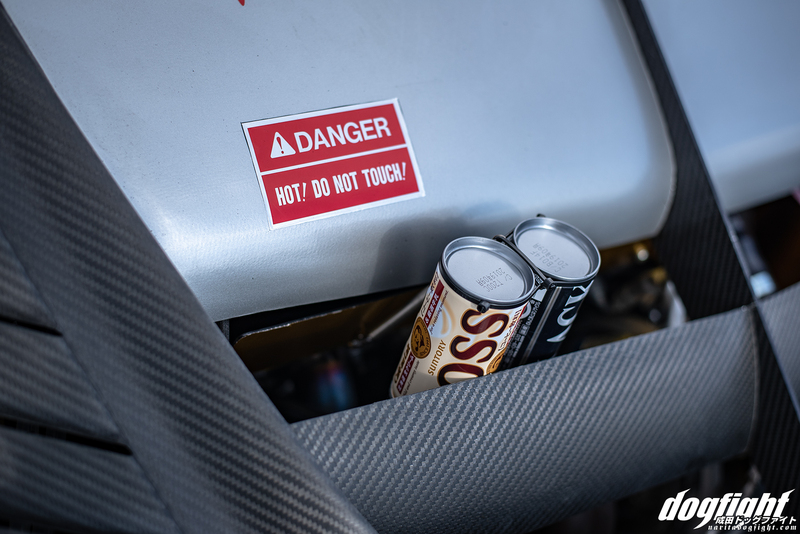 To do more with less is an ethos that many drivers live by; Hiroyoshi included. 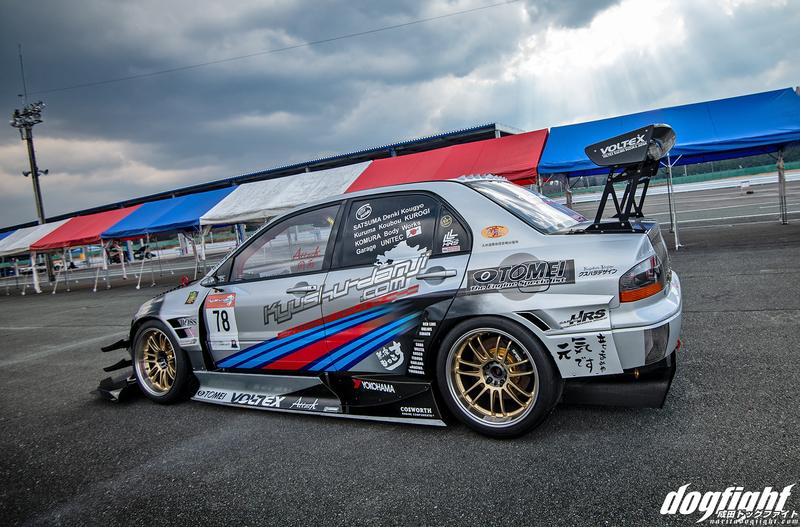 As with many time attack drivers with a build on this end of the spectrum, the bar is set at the stage of Tsukuba. 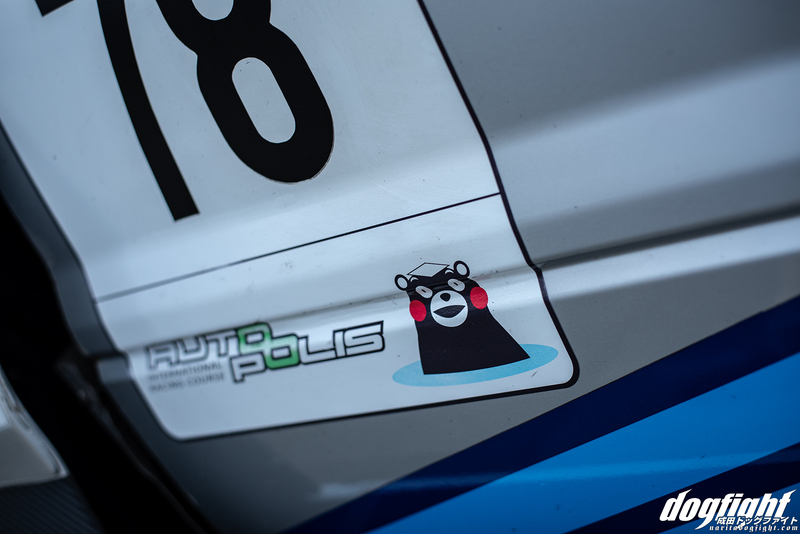 Though from the island of Kyushu, only the most determined drivers such as himself and the Kyushu Danji team are willing to travel the long distances to attend such events. 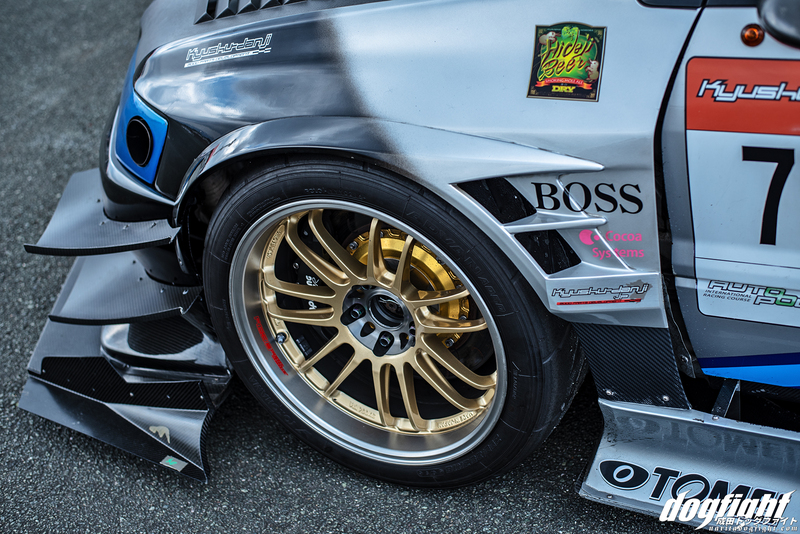 It is year after year where drivers across Japan near and far come to represent their region, put their machines to the test, and most importantly challenge themselves. I hope that gives some people an idea of what the book is about, and I appreciate any consideration of purchasing it when it becomes available again. In the meantime, please enjoy the exclusive gallery of Shiamda’s CT9A. Those God-ray shots with the CT9A… Wow! On a technical note, he is losing power without wrapped exhaust manifold and turbo blanket.